Smaller Project 7-1, Circular Stairway » Roger Perron Inc. 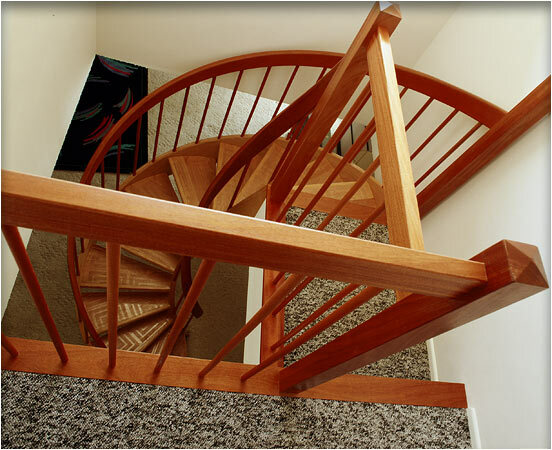 This circular stairway was made from mahogany and oak, which leads to a second-story addition that we built. The stair system was constructed in the shop and transported and assembled at the site.